Technical Car Experts Answers everything you need: fuel pump wiring diagram for kawasaki mule? 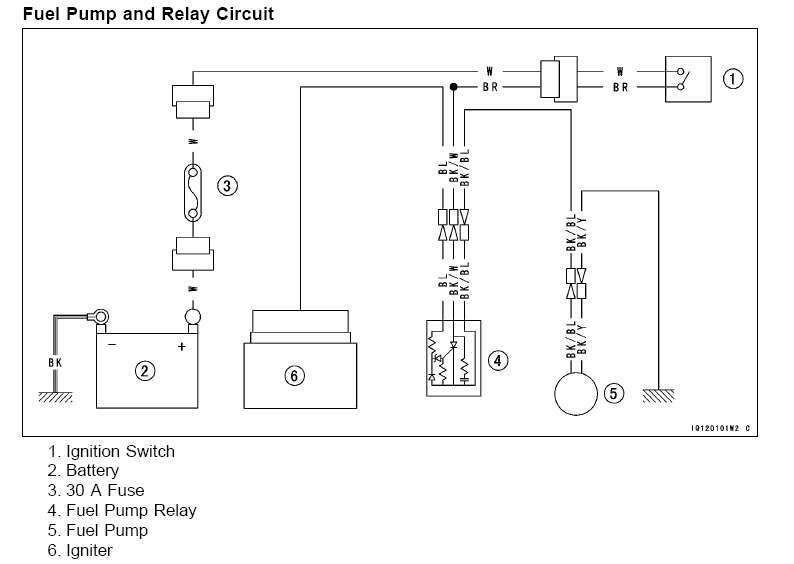 fuel pump wiring diagram for kawasaki mule? Here is the diagram for the system. Do you have power to the relay? If so, check the wire from the relay to the igniter. The motor must be cranking or running for the igniter to trigger the relay. Labels: fuel pump wiring diagram for kawasaki mule.